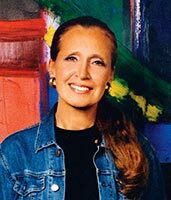 The Nick Traina Foundation was founded in 1998 by best-selling author Danielle Steel as a legacy to her son who lost his life to manic-depression, when he committed suicide at nineteen. The mission of The Nick Traina Foundation is to make a meaningful contribution in the field of mental illness. The foundation funds organizations that provide treatment and therapy to the mentally ill, with a particular interest in young people, and child abuse and suicide prevention. The Nick Traina Foundation’s goal is to fund organizations that provide treatment for all forms of mental illness. Organizations providing hands-on assistance to mentally ill people, and their families, are key to helping these people lead safe, happy, and productive lives. Our goal is to provide help wherever we can and can make a difference. As suicide ultimately claimed Nick, the prevention of suicide, and the nurturing of survivors, is yet another goal of the Foundation. We are helping to battle and to change the statistics that exist now. Suicide is the second leading cause of death of young people under the age of 25 and suicide has been on the rise since 2005. Bipolar disease, and other forms of mental illness, claims lives, often in the form of suicide. The safety, mental health and well-being of children are also important to us. Organizations involved in preventing child abuse and offering assistance to children, are keys to the stability of our society. Children in jeopardy are a priority to us. Nick himself was passionate about the prevention of child abuse. As a professional singer and musician, music was the essence of Nick’s life; it was his love and , his passion. In his memory, we are committed to supporting organizations that are helping musicians who are battling mental illness. There is now a scholarship at the SF Conservatory of Music in Nick’s name. For twenty years, since establishing the foundation in Nick’s name, we have lived up to, and deepened our commitment, to the battle against mental illness, providing treatment through the organizations we fund, offering comfort and support and alleviating pain. We want those who suffer from mental illness to live amazing lives, and to fulfill their potential, with the best possible help available to them. And in turn, we thank you for your commitment and assistance. “His Bright Light,” Danielle Steel’s book about her son’s life is available through Delacorte Press. All of the author’s proceeds and agent’s fees from this book will go to the foundation, which will also receive direct proceeds from the publisher for all copies sold. The proceeds of the book continue to provide an important part of the foundations income, along with private donations. All income to the foundation is used for the grants we give and spent on overhead. Some of the organizations we support. Since the beginning to the present.